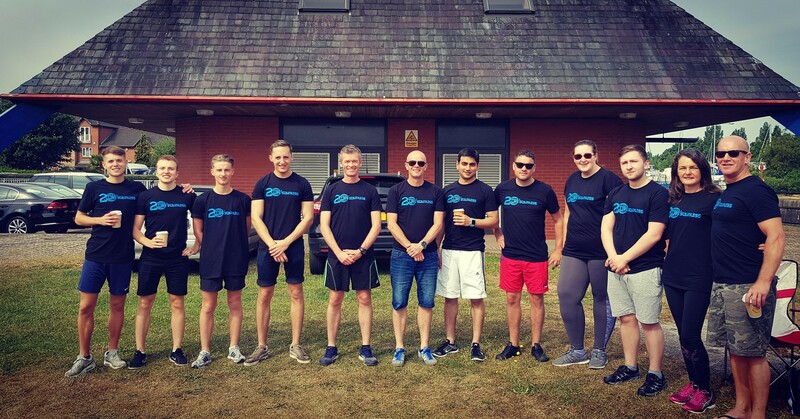 Members of the BS Stainless team had an exciting weekend as we took part in the North & Western Lancashire Chamber of Commerce annual Dragon Boat Challenge. We joined up with BS Fixings to put together a team (Steel Dragon) for the competition and everyone had a great time, even though we were all exhausted by the end! Dragon boat racing is an inter­nati­onally-recognised sport, experiencing a dramatic revival in recent years. The custom dates back to 500 BC, when it began as a ritualistic method of settling disputes between rival villages by testing the skill and strength of opponents. Though more than two thousand years have passed since the folk ritual began, the actual method of dragon boat racing has changed little. A dragon boat is designed to resemble the classic Chinese dragon. At the tail end of the boat sits a helmsman, whose job it is to make sure that the boat is properly steered as it moves. The head end is home to a drummer, who plays his instrument in a driving rhythm which keeps the rowers, who sit between the head and tail, in time with their efforts. Only human energy is used to power the boat, which moves with easy speed through the water. 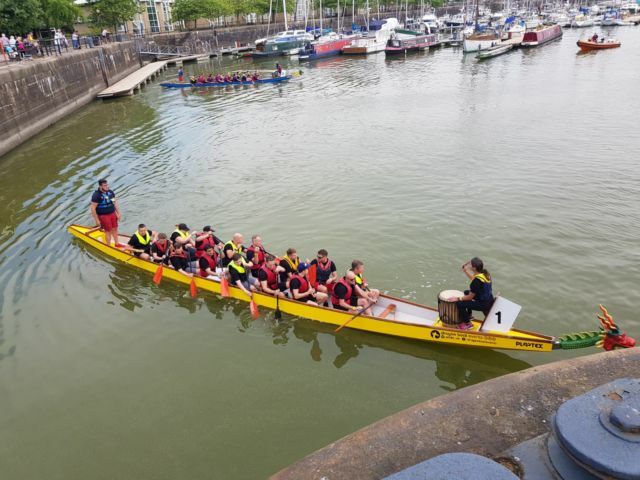 Though only recently revived, dragon boat racing is now the fastest-growing watersport in the United Kingdom, and this was definitely proved by the huge turnout. Lots of other companies from in and around the Lancashire area created teams to compete in the event, which took place as a series of knockout tournament races throughout the day. Everyone went home with a big smile on their face... and went straight to bed to sleep off the exertion! 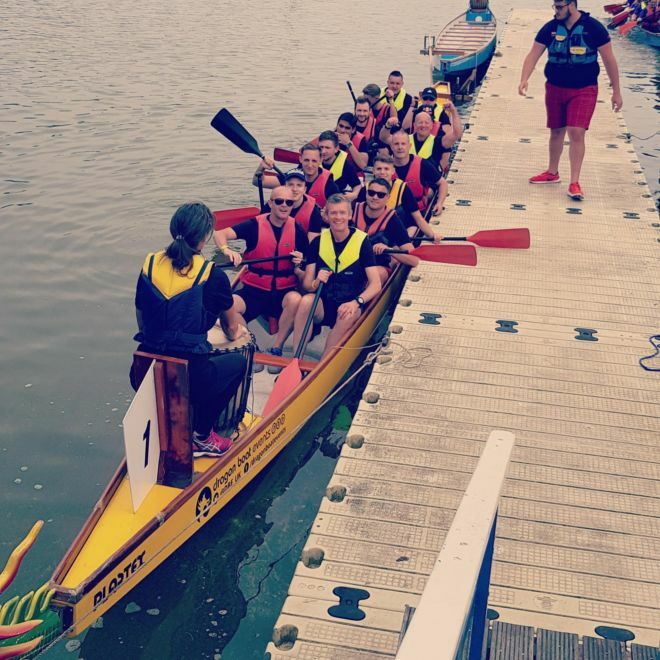 We look forward to the next North & Western Lancashire Chamber of Commerce annual Dragon Boat Challenge planned for 1st June 2019; as well as being great fun, it also helps our team to work even better together, enhancing our service to you. Subscribe to our newsletter for more updates coming soon!